Characterized by luxurious platinum detailing applied by hand, Tank takes its sculptural cue from the functional shapes and volumes of scientific glassware. 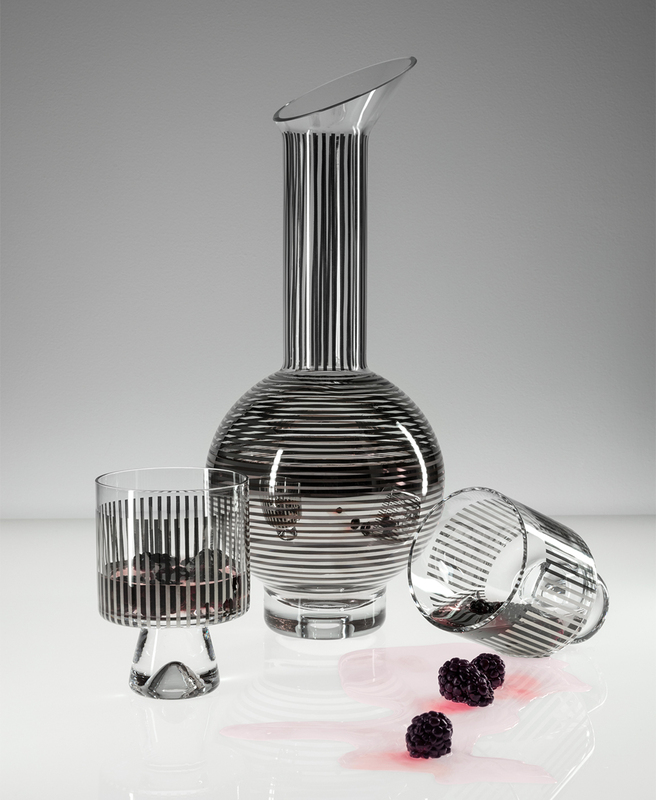 Offered as an exclusive gift set, the new Platinum Jug collection is created for the purveyor of fine drinks. Tank is also available in Copper or Smoke finishes, perfect for anyone.